BATMAN's Beginnings On Film | Warped Factor - Words in the Key of Geek. Martin Rayburn looks at Batman's strange debut screen adventure. Like many people growing up in the 60s and 70s I first discovered Batman, not through the comic books, but thanks to the Adam West starring TV serial that seemed to be on almost every day of my childhood. 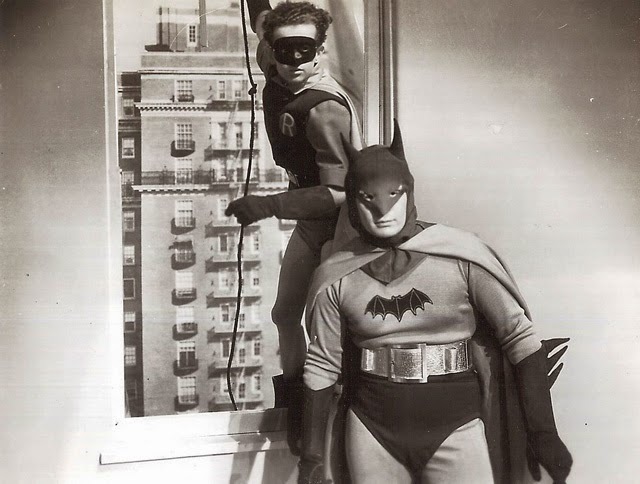 That TV show was put into production when ABC executive Yale Udoff attended a screening of "An Evening With Batman And Robin", a 4 hour back-to-back marathon that consisted of all 15 episodes of the Caped Crusaders debut on-screen adventure. 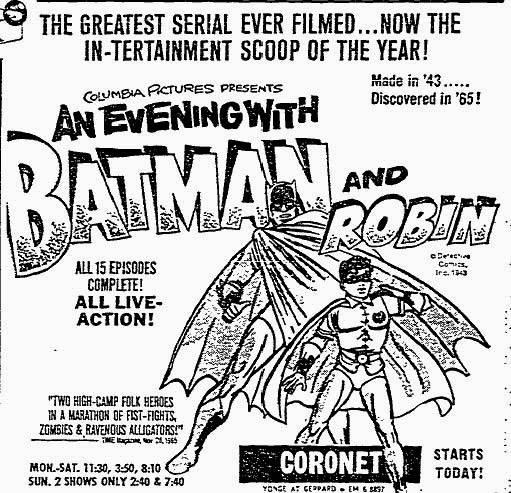 Story goes that Udoff was so impressed with the reaction to the sell out screenings that he immediately called ABC executives Harve Bennett and Edgar J. Scherick to suggest a "prime time Batman series in the hip and fun style". 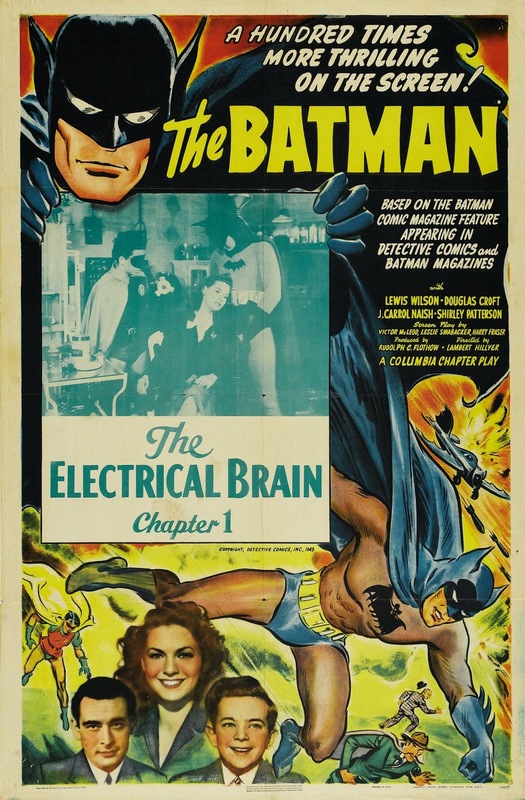 Originally released on July 16th 1943 as a 15 installment chapter play, and simply titled "Batman" (although often referred to as "The Batman", a name that appeared on much of the Theater advertising), the plot saw Batman, a U.S. Government Agent, and his young sidekick Robin face off against Dr. Daka, a Japanese scientist and agent of Hirohito. Daka had invented a device that could turn people into pseudo-zombies. He had a hideout in a Funhouse of horrors in "Little Tokyo", the Japanese area of the city. It was the height of World War II, and just like many of its cinematic contemporaries, "Batman" included numerous offensive racial slurs directed towards those opposing the U.S. and Allied Forces. In this case it was the Japanese, with derogatory comments from the narrator including "a wise government rounded up the shifty-eyed Japs", and Daka repeatedly referred to as a "Jap", often by Batman himself. This can make it quite a difficult series to watch nowadays, but I guess it just shows how times have changed so very much in the space of three generations. 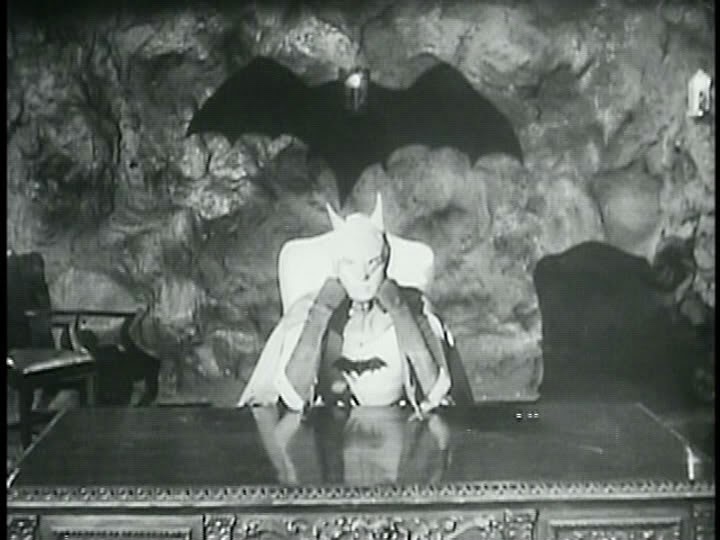 Batman was played by an unknown actor called Lewis Wilson. A slightly strange choice as he spoke with a pronounced Boston accent and was not particularly athletic - as critics pointed out he was quite "think around the middle". His Bat Suit was quite baggy and it appears as if he has devil horns instead of ears. Facially though, he looks good in the cowl, and represented the alter-ego Bruce Wayne fairly well. The production values aren't terribly high, so when comparing this to similar Chapter Plays of the era, like Flash Gordon and Buck Rogers, it does not fare so well. There is no Batmobile as such, just a black Cadillac, but aside from Batman's work as a U.S. Government agent it stays pretty true to the character of the time, and even introduced a couple of core elements we know today. It may have been quite sparse but the Batcave is seen for the very first time in this serial (although called the Bat's Cave), and it also introduces the Grandfather Clock entrance, both elements would make their way into the comics. 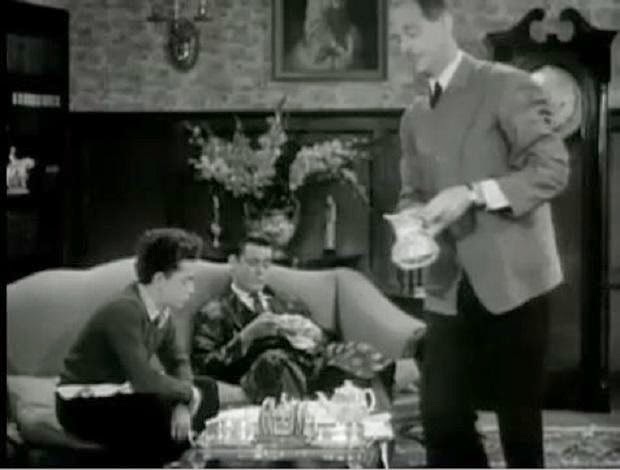 There was also the appearance of Alfred the Butler, who at that time was drawn as a rotund character, but on screen was played by the slim, mustached William Austin. His interpretation was adopted by the comic book shortly after the release of "Batman". 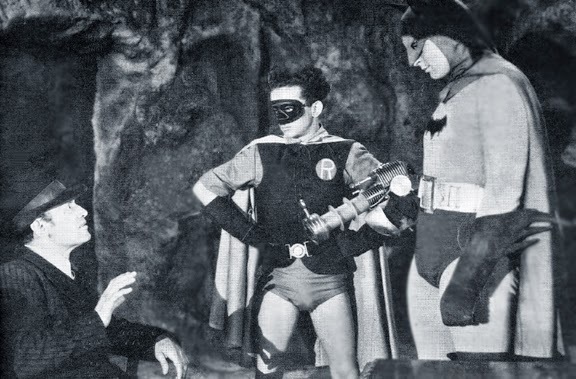 "Batman" performed very well upon release, meaning that a sequel (with a different cast) was put into production, eventually appearing in 1949. But possibly due to the nationalistic content the 1943 original was rarely shown again until the 'rediscovery' in 1965 by the sell-out audiences. At that time it was referred to as being an "unintentional farce", and "high-camp". 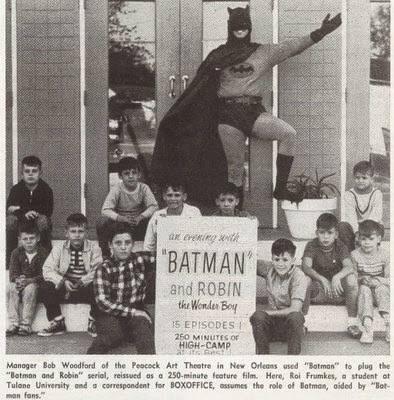 So next time you catch an episode of the Adam West and Burt Ward series, so full of camp moral lessons and its voice over narration, you'll know where the inspiration came from. By day, an ordinary bloke in a dull 9 to 5. By night, a tired ordinary bloke. Martin Rayburn still hasn't worked out what he wants to do when he grows up. He is currently 46.